Ciarán Sheehan, a charismatic and versatile Dublin-born, internationally recognized singer, was invited to perform by Julie Jordan at her Irish Festival as a special guest celebrity. He sang both before intermission and at the close of the concert. Sheehan has a powerful, vocally trained, focused baritone voice, with a secure falsetto extension higher than the range of a tenor. 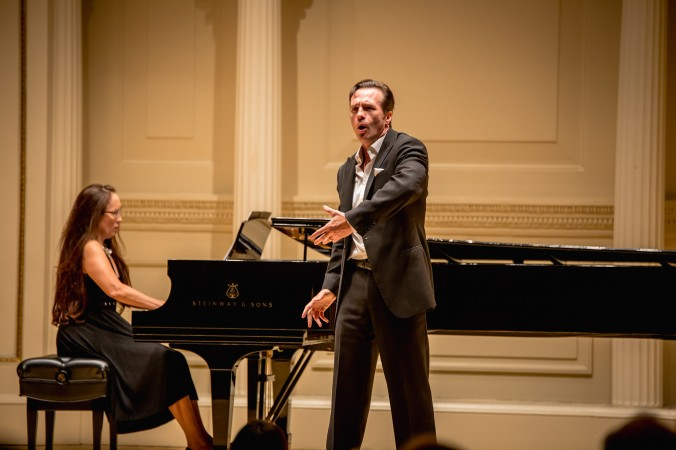 He reminds me of other eminent operatically trained baritones who branched-out into Broadway repertoire, including Ezio Pinza, Cesare Siepi, George London, and Robert Merrill. In remarks to the audience, Sheehan explained that “Les Misérables” had been his first Broadway show. He confided that Vice President Biden had asked him to sing “Bring Him Home” at his son’s recent funeral.